Atlantic Salmon Flies: "Flies for Connecticut Atlantic Salmon - How to Tie and Fish Them" Ebook available now! 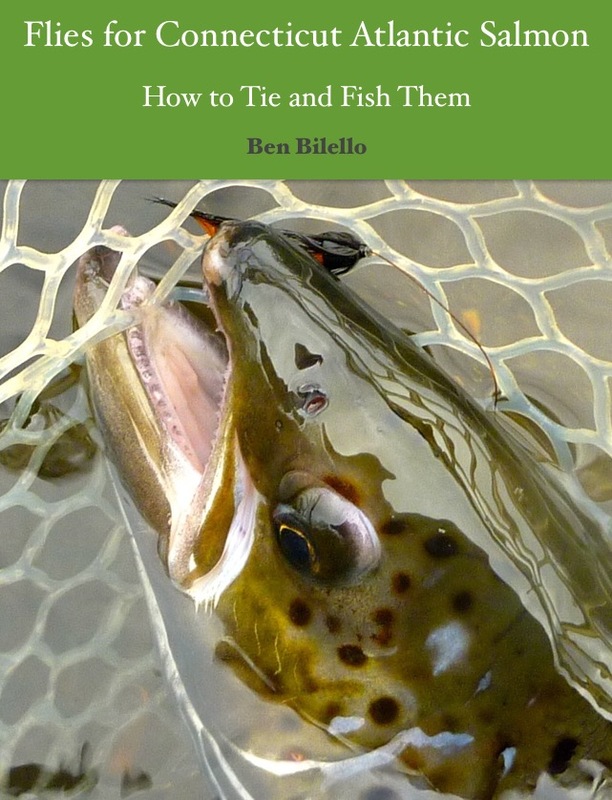 "Flies for Connecticut Atlantic Salmon - How to Tie and Fish Them" Ebook available now! Connecticut’s broodstock Atlantic salmon fishery is the only one of its kind in the United States. For local anglers, broodstock Atlantic salmon fishing is one of the most reliable ways to catch a large fish in fresh water. For anglers interested in Atlantic salmon fishing, this fishery is a great resource for learning and practicing the techniques used to catch Atlantic salmon around the world. “Flies for Connecticut Atlantic Salmon” has recipes for 75 effective wet, dry, and tube fly patterns, as well as 11 in-depth, step-by-step tutorials. Instructions on how, when, and where to fish these flies can be found throughout the book. The premium edition has embedded links which allow the reader to easily jump between pages, chapters, and a fly pattern index. Other premium edition links allow the reader to examine flies, tying techniques, and fishing strategies found on external websites. “Flies for Connecticut Atlantic Salmon” is a valuable resource for fly tyers and non-tying anglers alike.